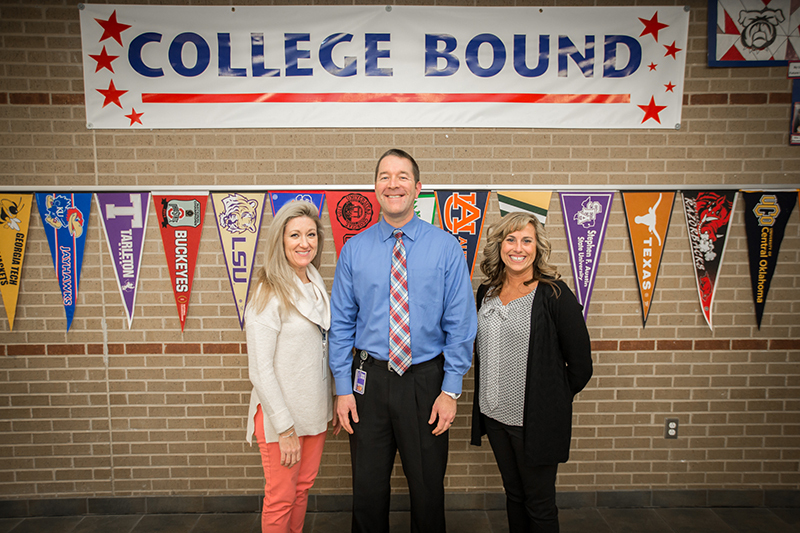 McKinney, Texas – In 2005, the Texas School Counselor Association (TSCA) implemented the CREST (Counselors Reinforcing Excellence for Students in Texas) program to identify outstanding counseling programs in Texas schools. This year, TSCA will recognize 70 such campuses from around the state; among the honorees is Vega Elementary and Counselor Jennifer Perry. Schools receiving CREST awards have demonstrated a strong commitment to using their school guidance and counseling program to improve the lives and achievement of students in academic, career and personal/social domains. The CREST continuous improvement document helps counselors evaluate their counseling programs, promote their programs to the stakeholders in their districts, demonstrate the effectiveness of their guidance and counseling programs and implement the Texas and national models for school counseling programs. CREST focuses on seven areas: Principal’s Support, School Counseling Advisory Council, School Climate and Safety, Student Results, Major Achievement, Community Partnerships and Resources and Parent Collaboration. The guidance support team prepares a document that highlights those areas and communicates what the counseling program is doing to help students succeed. The documents are sent to reviewers throughout the state to be judged according to pre-set standards of excellence. The school focused on building relationships with parents to better understand how to reach struggling students. “We’re working on a partnership rather than just a one-way communication type of thing,” said Forsyth. As far as academic progress is concerned, Perry played a significant role in raising achievement for some of the school’s more at-risk students by bringing in tutors and targeting annual benchmarks for each child. “We consistently tutored and tutored and tutored them,” Perry said. After a year, 98 percent of that group had met their academic goal. Walking through the school’s main corridor, Perry pointed out that Vega is a No Excuses University college-bound campus, and the trappings of a multitude of universities are visible throughout the halls and classrooms. That’s the trajectory they are pointing their students toward. On Sunday, Feb. 18, Vega was honored at the Professional School Counselor Conference at Moody Gardens in Galveston, Texas.